Welcome to Best Hospitality Degrees, your #1 leading online authority for finding the latest up-to-date information about the best degree programs to pursue if you are interested in building a successful career in the hospitality field. Our mission is to share our expert knowledge on the highest quality hospitality degrees available at our nation’s leading accredited colleges to aid in your quest for earning management positions in today’s growing tourism industry. Whether you are interested in applying your talents in hospitality for managing restaurants, hotels, amusement parks, cruise ships, casinos, or other tourist attractions, you have come to the right place. In a user-friendly format searchable by your state of residence, we have compiled comprehensive listings of the best hospitality degrees available nationwide to ensure you can find a quality education. Beyond helping you discover the best of the best hospitality degrees in the United States in rankings and state listings, we are committed to helping you build an understanding of the career opportunities available to break into the industry. Within our website, you will find intriguing infographics, helpful featured articles, free career resources, relevant blogs, and answers to all of your pressing questions. We are hopeful that our website will offer resources that prove invaluable to you as you begin defining or refining your chosen career path in the exciting field of hospitality. • Within a $3.5 trillion international industry, the hotel business provides individuals with unlimited career growth potential through robust chains of command that allow qualified professionals to advance. In fact, all 3,000 of Marriott International’s managers first began their careers with the company in entry-level positions. 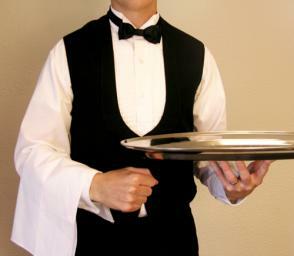 • Since companies in the hospitality industry are placing an even higher value on premier guest service, they are generally willing to pay top dollar to recruit high-performing candidates with hospitality degrees. Restaurant operators can earn up to $78,910, tour directors may bring home up to $138,960, and casino supervisors can make up to $115,420 each year. • As one of the fastest-growing industries outside of healthcare, the hospitality industry has been growing at the rapid rate of 17% since 2004 to create an average of 273,700 new jobs each year in the U.S. alone. Please feel free to send us a message if there is something you would like to see featured on our website or if you have any questions about the best hospitality degrees.